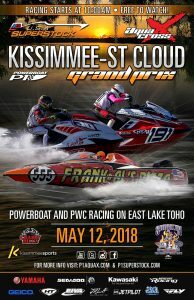 For the sixth year running the AquaX Florida Amateur Series will return to Kissimmee, St Cloud for a jam-packed day of racing on May 12th. Running alongside the P1 SuperStock USA Championship, the second round of the Florida Amateur Series returns to a familiar location after kicking off in the Miami Marine Stadium in April. 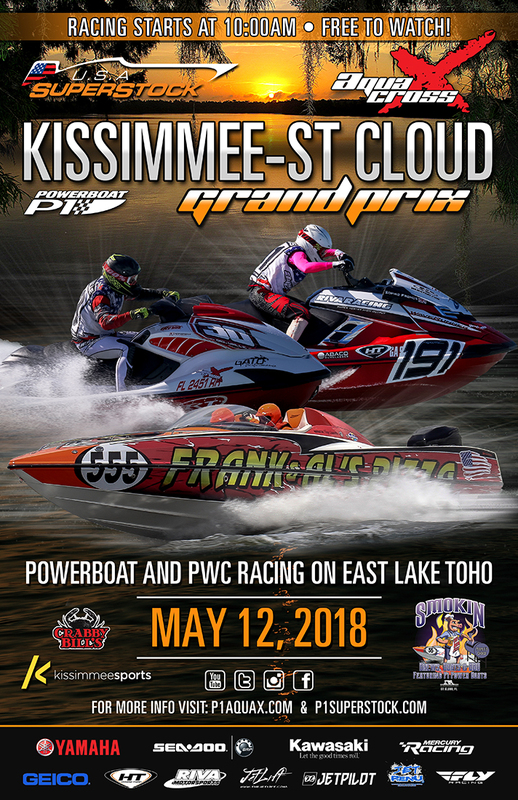 A traditional stop on the P1 calendar for both the AquaX and SuperStock series, St Cloud is one of the few lake venues once again in 2018 with all racing taking place on the southern shore of East Lake Tohopekaliga. The event will run alongside 'Smokin' Brews, Boats, & BBQ' hosted by St. Cloud Main Street who will be bringing with them a craft beer festival and the People's Choice BBQ Competition. St. Cloud Main Street Program, which began in September 1999, is a comprehensive revitalization program designed to encourage ongoing economic development in conjunction with historic preservation. Our goal is to bring more recognition on our downtown and what it has to offer. We are a non-profit organization funded by sponsors, memberships, city and county governments and ran by community volunteers. Last year the race weekend was won by Gary Shrigley in the 300 class on count-back from Enrique Chia after they both won a race and finished second in the other. Kevin Sullivan and Jose Lius Gonzalez took the 250 and 200 class respectively.